Cheval John is the founder/blogger of Vallano Media, LLC, an online media site dedicated to sports, travel and social media. Cheval is also a freelance writer and host of an online radio show/podcast called, "What's The Word?" on BlogTalkRadio. He is the author of two books, "8 Things You Need To Do Before Quitting Your Job" and the Amazon Best-Seller, "8 Lessons Every Podcaster Needs To Learn" Visit the website at Vallano Media and also his portfolio at Cheval John. Podcasts are back in the popularity game! 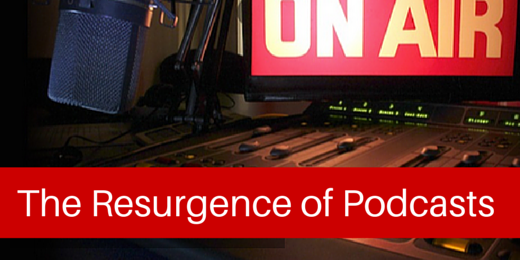 Learn how podcasting is resurging and why you should start your own. Also, tune into #BizHeroes on Tuesday, April 7th to chat with Cheval John!